Wow, that felt like it was over in mere moments..
Amira's a lot more intelligent than a 5 year old (putting the curse on Favaro to make sure he doesn't back out), so I wonder if that's what was meant by her "accelerated growth" as opposed to her being a 5 year old "child"? I feel like her growth as a person/nephilim was stunted in some senses making her more of a 5 year old "adult", if that makes any sense. The Devil is real and he’s not some little red man with horns and a tail. He can be beautiful because he's a fallen angel and he used to be God's favorite. Amira's a lot more intelligent than a 5 year old (putting the curse on Favaro to make sure he doesn't back out), so I wonder if that's what was meant by her "accelerated growth" as opposed to her being a 5 year old "child"? It's a lot easier than that. She was raised by a demon. If Amira is five years old wouldn't that technically make her a loli character even if she got an adult's body? Yet again I can only say that the good guys in this show really need Akutabe and Sakuma. 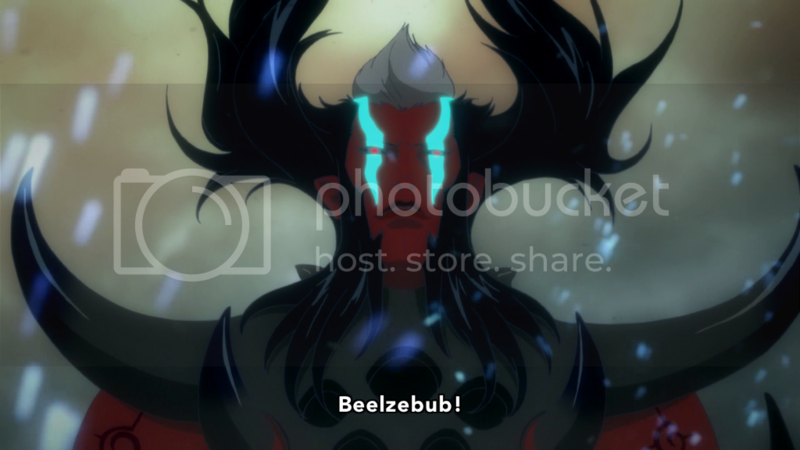 XD First Azazel, and now Beelzebub and Lucifer (and indirectly Moloch, by way of seiyuu)... Anyway, I really hope that Azazel is not dead, it would be a pity. 3) Aww, damn, so Amira does in fact have a mom (and a dad), and Lavalley is just a random good guy who is not trying to betray her? I feel a bit let down. Oh well, there's only so much you can do with 12 episodes. 4) So we have a 200+ year old loli and a 5 year old woman. OK.
...Come to think of it, where's Cerberos? We haven't seen her in ages. Last edited by kuromitsu; 2014-12-01 at 17:32. BTW, who voices Beel? Sounded like Koichi Yamadera, but I might be wrong. Unfortunately not Kamiya Hiroshi. It's Ootomo Ryuuzaburou. Sir Crocodile and Taira no Kiyomori (and Daisuke Gouri's replacement for Takeda Shingen in Sengoku Musou series)? Nice. Was she, though? I thought she spent most of her time away from her mother in a cocoon? Regardless, she literally had her childhood taken from her, hence her (sometimes) childish behavior.. I'm not sure. There's been a lot of arguments regarding the definition of "loli" and I think think the most agreed one was that it had to do with body-type (i.e. very young looking) as opposed to anything else. I wouldn't call her that, anyway. Yep. The demons seem awfully arrogant in thinking they can free Bahamut without there being any major repercussions unless they're aware of the gods' "holy knight" being able to subdue or destroy?? Bahamut..
We also have another Takeda Shingen in the cast, as the King himself. (OYAKATASAMAAAAAAAAAAAAAAAAAAAAA!!11! 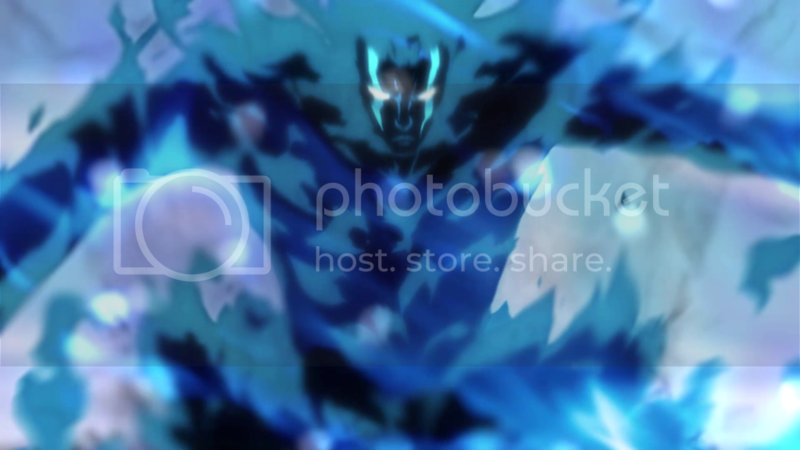 !1) Although in this case he fits more into the demon lineup (as Moloch from Yondemasu yo Azazel-san). Ah, yeah, those are good points. Along with the drama that's about to start in the capital, I wonder how the show's going to resolve all of this in just 4 episodes..? That knight may not be her real father but it is obvious that he cares for her greatly. Was also nice to see that Favoro refused to get Kasier involved after Kaiser finally became a knight again. I do suspect both Kaisar and Rita will be hot on the trail of Amira and FAVAROOOOO!! next week. Nice to see Lavalley wasn't a bad guy after all but just knew Amira's mother. But who is Amira's father? That's one mystery waiting to be cleared up. Then there's the whole thing with the king seeing visions, which I suspect was a trick to make him suspect Jeanne. Maybe that sword from the angels will wind up with someone else. You know, I'm really hoping round the end of the series and year they go "Surprise! It's a split cour after all!" and there'll be more of this, because it really has been surprisingly good! So the Knight turns out to be more like an Uncle. Still it's pretty cool that he's helping her so much. I mean, he tanked everything thrown at them and repelled even Michael. Although, why didn't Azazel just didn't tell Luci about... Ah that's right, a barrier was in place. I bet that wasn't Luci's doing either. He seemed almost surprised that Azazel had failed so much that Beeze got involved. But either way, Luci certainly doesn't like him, that much is for sure. Honestly, if this is a huge spoiler for some people, I must honestly question if they have any pts in deducing something so obvious. Ah, what happened to the cool, calm Amira of the 1st episode...? I guess that she was pretty much just a blank slate and being with 'Fava' has given her a much more animated personality. Which I don't mind now that we know how old she really is but... she just seemed much more B.A. then. This was another good episode with good information and reveals. 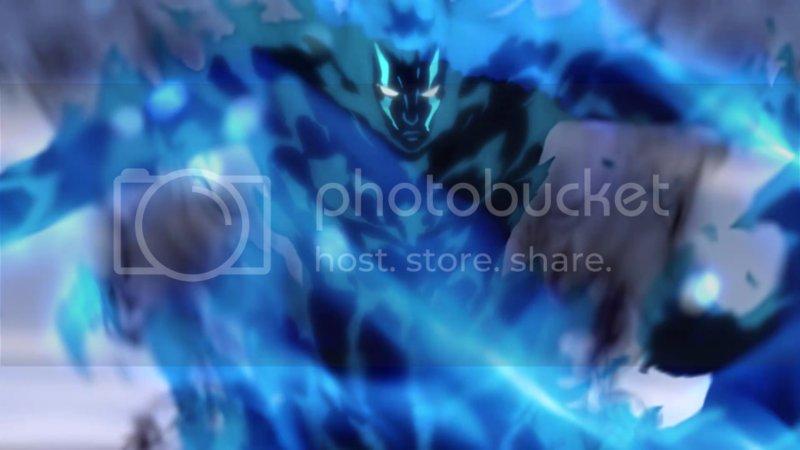 So Lavalley wasn't her father, but he definitely seems like a better potential father figure than her biological dad, that I'm pretty sure is Beelzebub (blue fire and the look of her blue protector kind of large clues). I wouldn't be surprised, if he seduced Nicole, just to create a half demon, half angel child that he could use as a weapon in his schemes. I like that Favaro and Kaisar got knighted, and Jeanne is more than worthy of her namesake (unlike many other anime Jeanne d'Arcs I could name. ), however, I am awfully afraid for her, as it looks like the demons are making a play to turn the king and government against her. I would so cry if poor Jeanne got put to the stake...again. Poor Azazel, escaped the holy fire, just to get killed by one of his own. Beelzebub is betraying Lucifer, but who wants to bet that Lucifer already knows and has plans of his own. He is the prince of liars and darkness after all. You don't get to be that high in Hell without knowing a few things. Amira is now armed with the truth and back on track to trying to find her mother with Favaro along for the ride! And while Kaisar is happy where he is, I have a feeling that he's going to go out to help his friend accompanied by Rita. "Someone who cannot forgive lies or secrets, will never trust another." Doesn't the sword Jeanne just received from the angels look strikingly similar to the sword Amira is posing with in the OP? Isn't that basically a death flag for Jeanne? Poor Jeanne's very name is potential death flag. Though, I really hope not, I really like her. The demons are obviously trying to get rid of her, they're just now trying a more underhanded, subtle move rather than continue to try to face her head on. She's just too strong for them.
) Aww, damn, so Amira does in fact have a mom (and a dad), and Lavalley is just a random good guy who is not trying to betray her? I feel a bit let down. Oh well, there's only so much you can do with 12 episodes. Lavalley's behaviour is still rather questionable. He doesn't seem to have told anyone else about Amira, and now he's happy to send her off alone on a dangerous quest. This is despite knowing that she's very immature, that the whole of demonkind are hunting her, and that the demons capturing her would probably mean Bahamut gets released. The one thing Jeanne has going for her when it comes to dodging death flags is that she's apparently a prominent character in the card game. That may possibly mean she merely gets taken out of action instead of killed off. Was also nice to see that Favoro refused to get Kasier involved after Kaiser finally became a knight again. I mean, he tanked everything thrown at them and repelled even Michael. Although, why didn't Azazel just didn't tell Luci about... Ah that's right, a barrier was in place. Azazel also tried to report what he saw in the "mysterious aura" to Lucifer, but he was shooed away by Martinet (who is Beezy's man), with the excuse that Lucifer doesn't want to see him. TBH I also quite miss that side of Amira. Her current self is cute and all, but she was so cool in the beginning... I guess now we have Jeanne, but still. So Amira is a kid? Basically Favaro and Kaisar are hanging around a 5~6 years old Angel/demon and a zombie loli. What a bunch of pedos. That aside, Lucifer looks so shiny and fabulous. Undoubtedly the best looking male so far, I'm impressed.